Perfect for children on the go, this backpack offers style and storage for school supplies or personal items for a day trip around town. 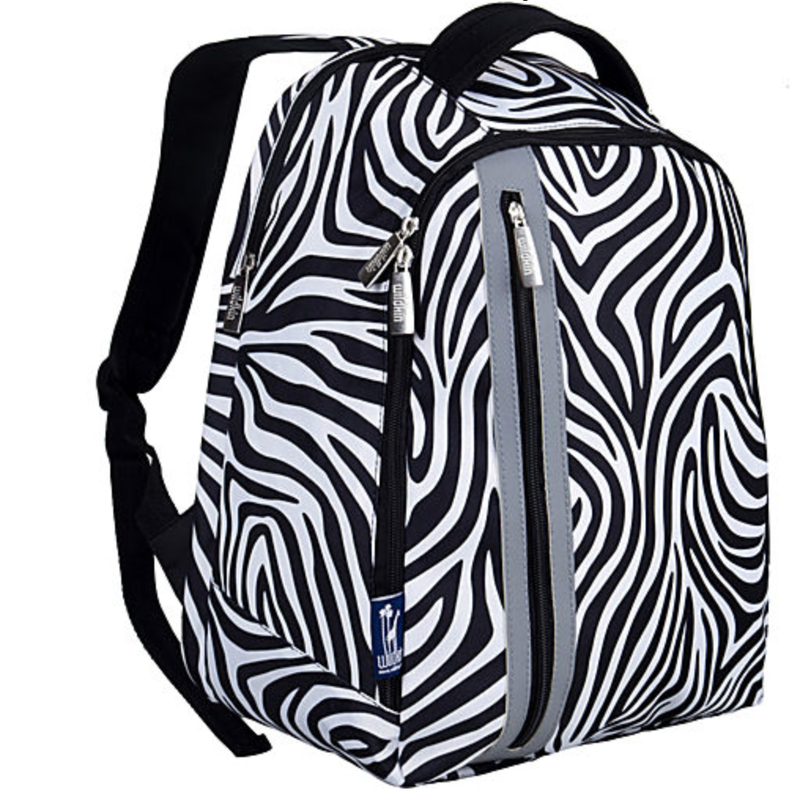 The Wildkin Zebra Echo Backpack is made from polyester fabric and features an allover black and white zebra print with solid black accents and trim, a solid back panel, and adjustable shoulder straps that make it comfortable for kids to carry. This backpack has a multi compartment design that includes a padded laptop sleeve, a separate sleeve for an iPad or tablet, and organizer pockets to hold pens and other small accessories. A vertical front zipper pocket offers added storage and features reflective trim for increased visibility.